Fleet telematics has gained increased demand following a federal rule that requires commercial vehicles use electronic logging devices (ELD) or electronic onboard recorders (EOBR) to improve road safety. Compliance for ELDs has seen an uptick since the mandate was first announced in 2014. This has led to an increase in the demand due to their added benefits over standard ELDs, such as vehicle analytics, accident detection, driver behavior monitoring, fuel consumption analysis, and more. According to Netscribes research, the global fleet telematics market is expected to be worth to $67.53 billion by 2022. In North America, commercial and regulatory initiatives have transformed OEM telematics services from being just an ornamental feature into “must-haves”. They are now being offered by leading automotive brands for a majority of their car and truck models. How do logistics companies stand to benefit? Better visibility into how many hours drivers drive in a day, where and how they travel. This data can then be used to report errant drivers, identify improvement areas, and improve road safety. 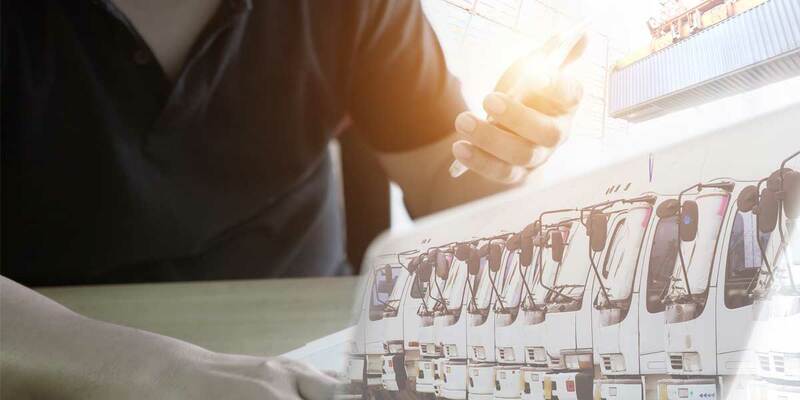 Fleet managers can enjoy reduced workloads and increased efficiency, as tasks such as vehicle monitoring and driving pattern analysis are handled by telematics companies. Augmented vehicle safety and reduced fuel consumption, which can further reduce fleet operating costs. Smartphone-based applications eliminate the need for additional expenditure on device installation and maintenance. Integrating telematics into vehicles gives fleet managers better visibility over vehicle usage and driver performance. It allows them to track where drivers are going, how they drive, and effectively manage fleets better. With increased regulation on safety and fuel efficiency in both commercial and consumer vehicles, North America and Europe are optimal markets for fleet telematics. Heavy trucks account for 75% of inland transport in Europe, which presents a rich opportunity fleet management solutions. In the Asia Pacific region, increasing concerns over carbon emissions and road safety is the key driver for telematics adoption. Despite the growing opportunity, commercial telematics is yet to catch on in countries like Brazil, Germany, Nordic countries, Eastern Europe, Malaysia, and Thailand. In order to penetrate these markets, fleet management solutions need to customize their offerings through deeper insights into the cultural, infrastructural, and regulatory landscape; driver needs, and usage behavior. The needs and decision-making process vary based on the end customer. Small businesses, for example, focus on cost-effectiveness, value-added services, and after-sales services. Larger logistics companies, however, prefer solutions by companies that are high in brand value and visibility. Multiple services offered in a single solution portfolio is highly preferred by large load haulers that are seeking visibility. Other companies prefer vendors that offer a high return on investment and real-time sales support to fleets. Several OEMs are now partnering with telecom operators, telematics solution providers, and automotive manufacturers to offer end-to-end telematics services for fleets. Netscribes market intelligence offers a 360-degree view of markets, customers, and competitors to help technology providers strategically enter new markets and compete effectively. Speak to us for customized research on the fleet telematics market, including industry forecasts, market trends, competitive and regulatory landscape, market opportunities, and more.